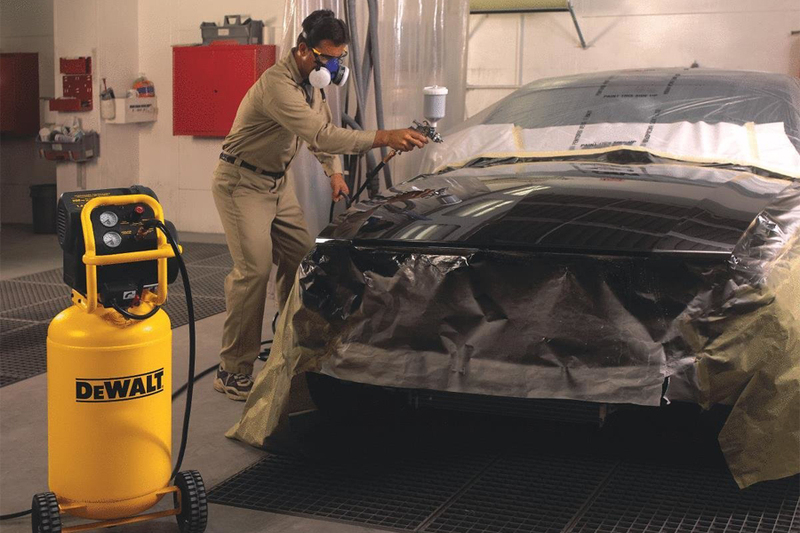 Air compressors are the ideal way to power your automotive and production tools when you want a quieter environment. Power tools that run from an air compressor are lighter in weight, more powerful, and faster, so there’s no reason not to switch over to pneumatic tools to make your work space a more pleasant and effective place. The high power of air that compressors provide offers significant gains in performance and productivity. 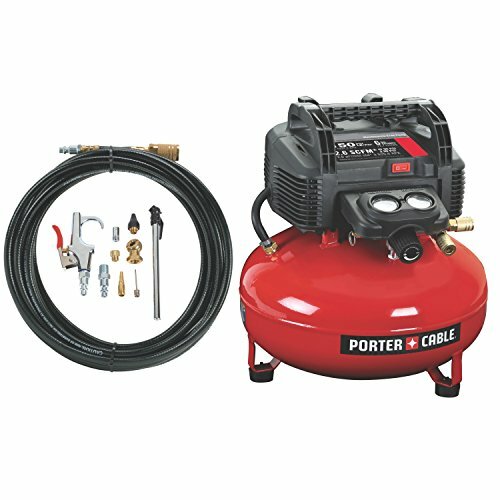 When looking to purchase an air compressor, there are a number of factors to keep in mind. First of all, do you want your compressor to be stationary or portable? You will also need to choose between those that are powered by electricity and those that are gas-powered. Performance rating plays a huge role when looking for the right model, so check to see how they’re rated with PSI, SCFM, as well as horsepower. There are also a number of different pump types, such as continuous operation, single stage, two-stage, and oil-lubricated, just to name a few. 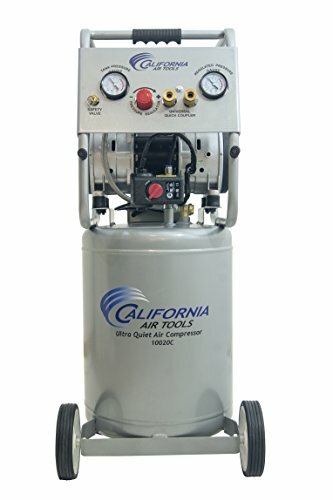 This oil free and super quiet compressor from California Air Tools is perhaps the quietest 2.0 hp electric compressor that you can find. In fact, it’s only 70 decibels of sound when in operation. The oil-free dual piston pump system is specially engineered to be the highest in performance and durability, and that’s why you find it in so many work spaces throughout the country. The enormous 10 gallon air tank fills within 130 seconds, and the quick release connectors on the control panel allow for up to 2 tools being used at a time. This compressor is not only powerful, but incredibly maneuverable and easy to use. If noise is a huge issue in your shop, garage, or work space, then this compressor is going to make a huge difference in the quality of your work space. Less maintenance is required than other air compressors, and that means you’re saving money. This Dewalt portable electric compressor makes it easy to wheel around anywhere you need it to be. 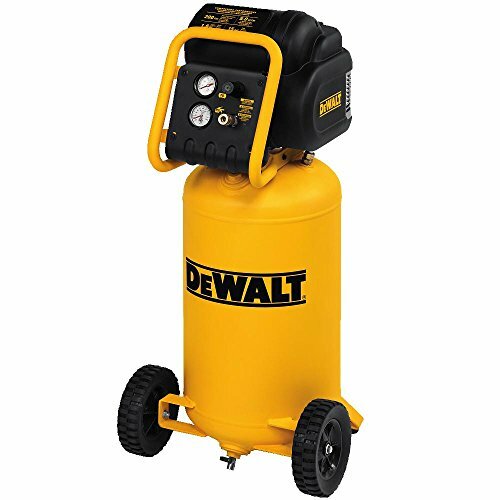 It’s the perfect choice when you’re looking for a powerful air compressor that needs to change locations often, but still performs with the best of them. Great for maintenance work on cars or any number of equipment pieces. It can also be used with success for nailing projects and for blowing away dust inside your work area. It operates air tools such as paint sprayers and ratchet wrenches perfectly. This is one of the most compact wheeled air compressors that can be found on the market, and that makes it not only convenient, but also saves you money in the long run because it eats-up much less power than the competition. There is no model that is easier to move and store. And because the motor is so strong and efficient, you’ll never need to run an extension cord to get peak performance out of the compressor. This pancake-style air compressor is oil-free and highly portable. The induction motor is the genius behind the competitive performance and extended life. Whether you’re filling tires or firing a nailer, you’re going to be very impressed with the quiet and exceptional results that you get from this compressor. The motor life can be extended with the replaceable brushes, which only enhances the longevity of the device. The 150 psi tank pressure stores a great deal of air for when you need to use the tank for long period of time. The 13 piece kit includes a 25-foot nylon hose, tire chuck, tire gauge, blow gun and attachments, as well as quick coupler, Teflon tape, and plugs. The whole kit also includes water drain valve and rubber feet. The low-amp 120 volt motor gets started easily and works even under cold weather conditions or with an extension cord. All in all, this is a fantastic compressor when you want the ultimate in portability and power rolled into one.